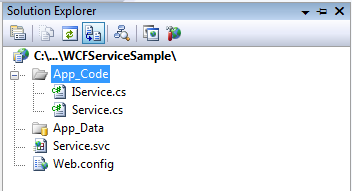 Here IService.cs is an interface it does contain Service contracts and Data Contracts and Service.cs is a normal class inherited by IService where you can all the methods and other stuff. 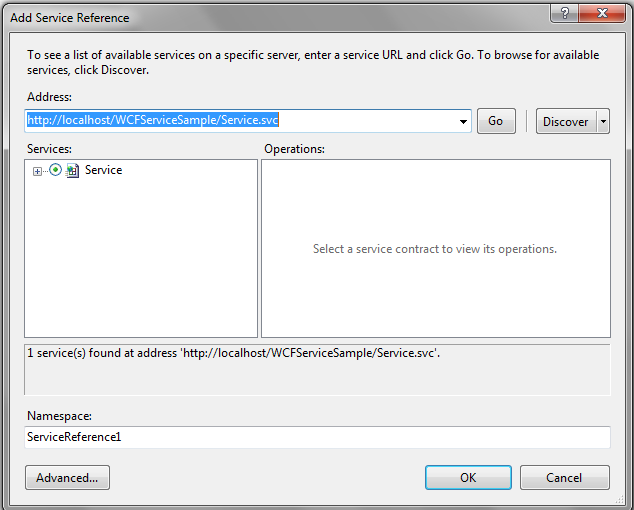 To call WCF service we have many ways like using console app, windows app and web app but here I am going for console application. 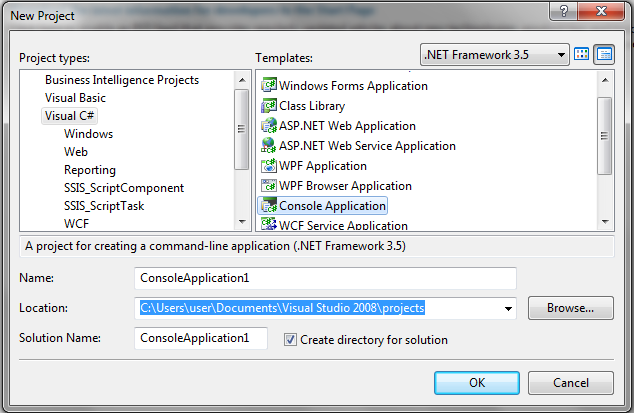 Create new console app from visual studio select project type as console application gives some name as you like. 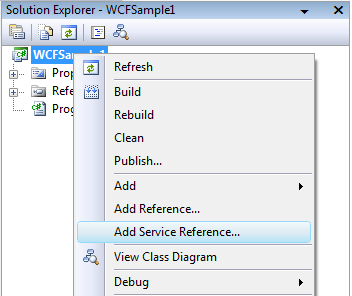 Now one wizard will open in that give your WCF service link and click Go after add your service click OK button.